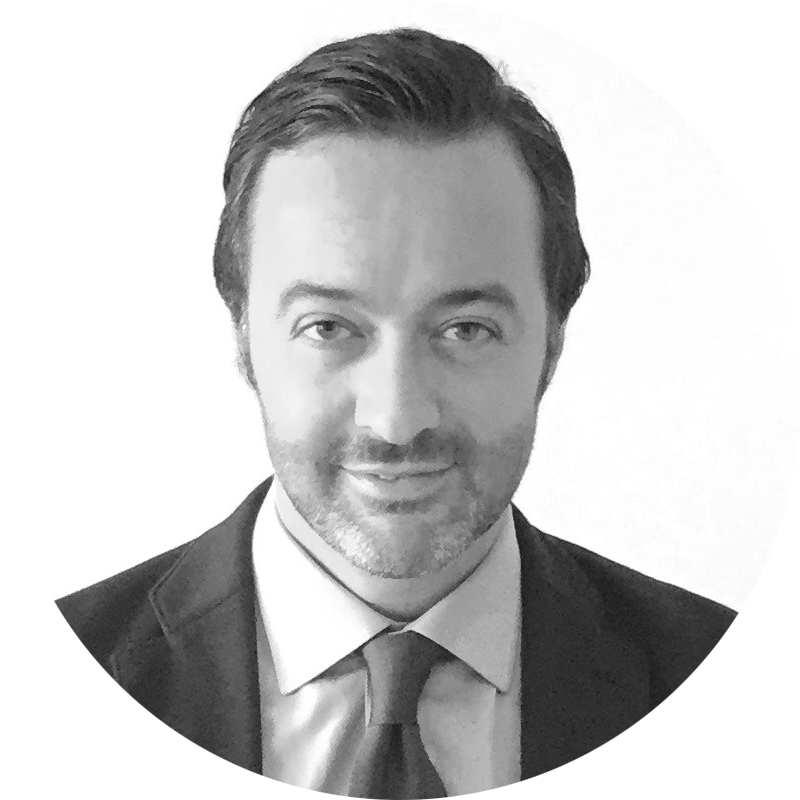 Mr. Mathieu Dufresne, ESSEC BBA alumnus (2005) and Vice President Category Management & Global Trade Marketing Coty Luxury at Coty Inc., tells us more about his experience at ESSEC and how it has brought him to where he is today. Why did you choose to study at ESSEC and what did you like about it? To me, reputation of the school was an important criteria. In today’s globalized job market, like any individual applying for a job, you will be in competition with profiles from all over the world. This was not the case twenty years ago, but today, you are in competition with applicants worldwide. At ESSEC, I could strongly feel the international level and ambition of the school to teach students that the world is a globalized place today and that it is important to be aware of the reality abroad, how people work abroad, and to understand different cultures. For that, you need to have an awareness of international culture, which is something I had the chance to experience at ESSEC. How would you describe your ESSEC experience in the BBA program? For me, there was a lot of energy, fun, a good sense of ambition, but at the same time a very down-to-earth mentality. The school gives you a look into what business is like, so that you are really prepared for that reality when you finally enter the job market upon graduation. This was definitely one of the competitive advantages of this course, because you need to be prepared, and be able to apply what you have learnt to real situations. The professors at ESSEC did this through a very hands-on approach to learning. For example, the case studies which we worked on in school were a good projection of the real world, which enabled us to be efficient from day one on the job. What was your best memory of your time in the program? My best memory would be my time abroad during international exchange in Madrid. From an academic standpoint, this allowed me to work and learn in a totally different environment, be exposed to different ways of working, different subjects and a different approach to learning. From a personal standpoint, the opportunity to live abroad alone is excellent especially for those who would like to travel and work abroad, as it can be considered as the first ‘preview’ to how life as an international manager is like, opening a lot of perspectives for students. Which exchange programs, international experiences or professional experiences did you have during your BBA program in ESSEC? How have these experiences made a difference to you/influenced you? During my time at ESSEC, I did an internship every summer: I spent one summer in Romania at Caterpillar, and another at the Middle East in Dubai working with my current company, Coty Inc. One of the things I liked about the school was the strong support in finding internships, as the alumni group and ESSEC network really helped, even when it came to finding a job upon graduation. These experiences pushed me to try and go abroad to find and learn to overcome challenges, as it is definitely not easy for a young student to go abroad alone. I saw the opportunity and took it up, and my academic background played an integral role in helping me get to where I am today. Could you describe your career path since graduation? What is your current position and responsibilities? After completing my internship at Coty Inc. in Dubai, I was offered a permanent position with the company and worked there for 4 years, managing the sales and commercial strategy. I then moved to the head office, where I worked for nearly 6 years, supporting the communication and implementation of product launches and trade-related initiatives, and eventually headed the Coty Prestige Global Trade Marketing Department Fragrance & Color worldwide. After my time in Paris, I moved to Singapore in 2014, where I managed the Fragrance and Skin Care categories for Coty Inc. across Asia Pacific, Middle East/Africa, and Travel Retail worldwide. I have recently moved back to France, managing the Category Management & Global Trade Marketing at Coty Luxury. 2) Be willing to take risks: This is important as we usually don’t push people to take risks, which could lead to complacency. Taking risks today is mandatory as at this level of education, you are in competition with a lot of people, thus you have a lot to prove and when you dare to take risks and confront the challenges, it is a big step forward. 3) Work abroad and travel the world as the world of today is global. If you want to have a real leadership position in a company, you need to be aware of and understand the complexities of various markets. To me, it is dangerous for students to lose a sense of what the business world is like today, and there is a need to ensure that graduates are ready to work and face the challenge, and ready to engage. Students must appreciate their time spent working with the company, work for the business, stay long enough to be able to show how they can both grow as a person and contribute towards the growth of the company. There needs to be a good balance between academic performance and being able to apply what you have learnt at school. Could you describe the school atmosphere in 3 words? “J’adore Dior”, a woman would whisper sensually as she struts full of confidence; her dress never quite the center of attention, but rather her own being. I gazed wistfully at the television where the advertisement played, seemingly out of reach, and repeated the words. This was the first moment I was aware of Dior; and even to this day, it is this particular memory that surfaces from the recesses of my mind. On the 13th of March 2017, however, I was fortunate to stand in the exclusive Dior pop-up experience and boutique in ION Orchard and say “J’ADIOR”. 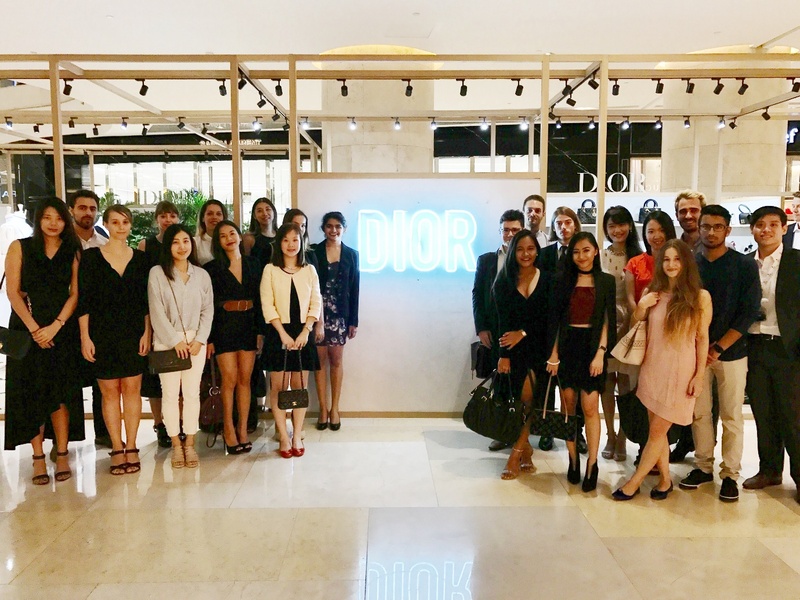 At ESSEC Business School in France, there is a long-standing relationship with the LVMH group, including Dior. Now, the ESSEC Asia-Pacific campus takes the baton as we further the relationship, right here in Singapore. 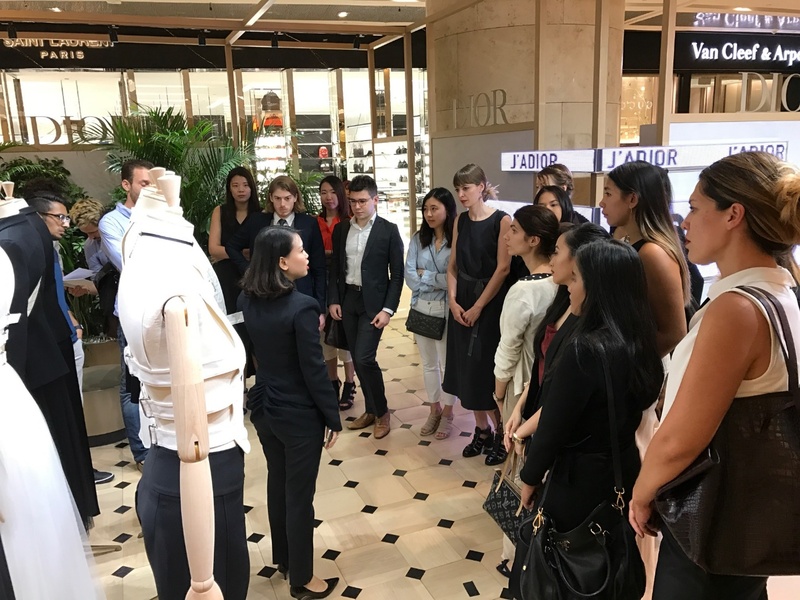 The group of LVMH companies had recently interacted with numerous students during the ESSEC Career Fair Asia-Pacific on the 9th of March, the first of what will hopefully be many more interactions in the years to come. 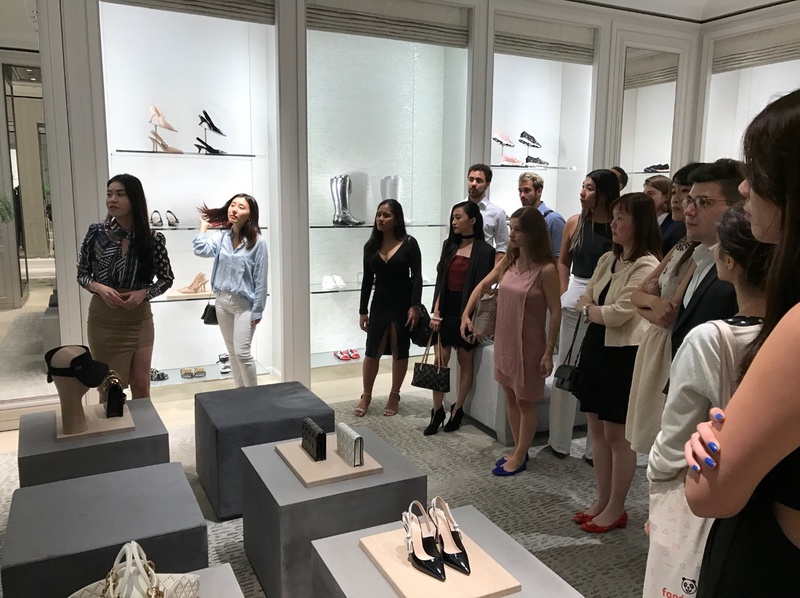 The Career Services team, for the first time in Singapore, also arranged for an exclusive invitation for a group of students to view the new Maria Grazia Chiuri Spring-Summer 2017 Collection, and to experience the Dior boutique for ourselves. Maria Grazia Chiuri herself, handpicked Singapore as one of the few countries to be graced with a pop-up experience, where her new Spring-Summer 2017 Collection is displayed. The pop-up is in ION Orchard, one of Singapore’s premiere shopping destinations; also home to the Dior boutique and Dior Homme. The twenty-three of us from ESSEC were treated to a guided explanation by the professional staff there who impressed us all with their explanations and insightful answers to our many questions, even managing to gain the understanding of those perhaps not fully acquainted with the world of luxury nor fashion. It was truly wonderful to understand the inspiration behind the new collection reverently displayed in the pop-up, some of which I will share with you below. Firstly, we were treated to the sight of the newest concept of ‘J’ADIOR’ displayed as logos on various items such as handbags, sunglasses, heels and wallets. The term ‘J’ADIOR’ was coined by the Creative Director as an amalgamation of the much renowned catchphrase ‘J’adore Dior’; the idea of which was to combine the classic marketing pun on the brand name to make it even more eye-catching, while still maintaining the meaning behind the words, translated as- ‘I love Dior’. From a business standpoint, the ingenuity behind this decision is to be lauded as it allows the translation of a catchphrase into a branding opportunity. The heritage of the Dior brand is visible also in the manufacturing decisions behind the monogrammed items which seem vintage and rightly so, since the design is a revisit of the original monogram, right down to the creation of the bag under the careful hands of the exact original manufacturer in Belgium. Yet another item that made an impression on me was the updated Lady Dior bags, some of which had flaps rather than zips so as to make the contents of the bag more accessible on the go. The relevance of this creative decision is definitely attributable to Dior’s first female Creative Director who intimately understands the needs of her fellow females. With International Women’s Day having just passed, my wish is that more and more women will be given premier roles in businesses at least for the sake of truly being able to understand one’s consumer base. Next, we were faced with eight Ready-to-Wear pieces from the Spring-Summer 2017 Collection. From fitted coats to full suits, tulle skirts to fencing outfits; the Ready-to-Wear pieces showed both diversity and grit. It was enlightening to see both very feminine and very sporty options presented. There was also some discussion on the materials used and the process of dressmaking. We learned that apparently, the Creative Director’s mother used to be a seamstress and as such, she is sympathetic both to the need to keep dressmaking alive and the usage of exclusively sourced materials. What stuck with me the most however, was the fact that each and every piece on the mannequin was styled along with accessories or bags. It was definitely not displayed as just a piece of clothing to wear, but rather as an ensemble of different items that came together to portray a sense of character. We were helpfully told that this decision was due to Maria Grazia Chiuri’s immense want to create a whole suggested look rather than display individual pieces as this would give women the option to “express rather than dress”. The thoughtfulness in every detail of the styling is testament to the Dior woman, just like I used to see in the advertisements- a little mysterious, sensual, and full of character. Finally, the group of us made our way into the permanent Dior boutique. If you have ever passed by the boutique while in Ion, you are sure to have noticed the seemingly sparkling walls; it is actually a Nagoya façade in Dior’s classic ‘Cannage’ design. Walking into the boutique, we were greeted by the sight of an exquisitely designed concept, which emulates the boutique in Avenue Montaigne, Paris. The shimmering tones of grey and white were a backdrop to the art that could be seen everywhere, from the actual pieces of Dior’s collections, to even looking up to the ceiling upon which were tiny twinkling lights that brought to mind the constellations that Monsieur Dior so favored. As we passed each doorway in the sprawling boutique, it was as if we had entered a different universe- all the different rooms in the boutique had separate design concepts. From the balcony overlooking the Palace of Versailles where the timepieces were displayed, to the garden set in front of hanging chains in the footwear section, what truly transcended all the rooms was the immense sense of belonging and comfort that one would feel in their own home. All the furniture in the boutique were works of art, having been conceptualized and created by individual artists for Dior alone. Another recurring theme was the use of couture fabrics. In each room sat different medallion chairs, each with a unique couture fabric backing. What appealed to me especially was entering the immense fitting rooms, complete with adjustable mirrors and comfortable armchairs, to find that even the walls of the fitting room had been lined with couture fabric. Just when we thought we had seen it all, a pair of curtains was literally drawn back for us to make our way to the exclusive VIP Salon. Entering a more private room complete with silver cushioned furniture, a faux fireplace and mirrors upon mirrors, it was a true experience of exclusivity. We then made our way to Dior Homme where although the concept was tailored to men, the overarching designs were true to the brand identity. All in all, the Dior boutique gave me a sense of both various collections of concepts and a unifying identity that spoke volumes of its founder and heritage. Looking back, this experience was genuinely inspiring and opened my eyes to the world of luxury. 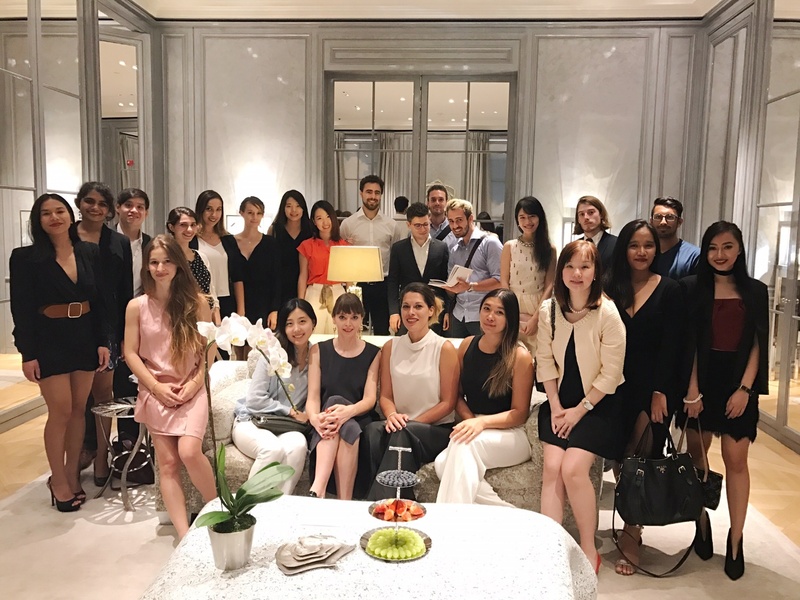 On behalf of all the students, I would like to thank Dior and ESSEC’s Career Services team for sharing this experience with us. It was truly an honor for the group of us to have been given an insight into the workings of one of the world’s top brands. I leave you now with these iconic words - ‘J’ADIOR’. Are you thinking about beginning the ESSEC Global BBA in Singapore and looking to find out more about the application process, and how life will be like at the Asia-Pacific campus? Get your answers to 8 Frequently Asked Questions in this blog post! Feel free to contact us through ESSEC Talk if you have any additional queries, we’re always glad to help! 1. How is the ESSEC Global BBA program structured? At the beginning of the program, you can choose to start at one of ESSEC’s 4 campuses in France, Singapore, Morocco, and Mauritius. You choose the campus which you would like to begin the program at when or after you submit your online application. 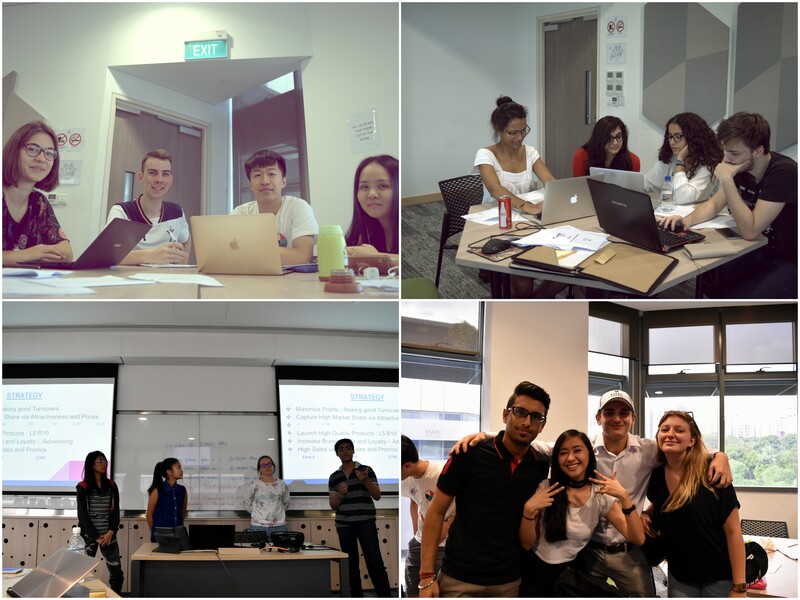 For the first two years, students who pick the Singapore Track will study at ESSEC’s Asia-Pacific campus in Singapore, and complete a 3-month operational internship as well as a 1-month internship at a humanitarian organization. In the third year, we will travel to Cergy-Pontoise, France and study at ESSEC's main campus. During Years 3 and 4 of the program, students have the choice to choose where they would like to go for the international exchange program at one of ESSEC’s 145 partner universities. This second cycle of the program also includes a 6-month managerial internship stint, where you’ll be able to apply what you’ve learned during the course of the program. 2. How are the student life and student clubs like in Singapore? Students are encouraged to create their own student associations based on their interests. We currently have an active arm of Grand Prix ESSEC, an interest group for Grand Prix enthusiasts, a Debates Society, Dance interest groups, an Indian Cultural Association, a Kayak Club, a Marketing Association, a Photography and Videography Association, as well as the Bureau des Arts (BDA), an interest group for students interested in the Arts. 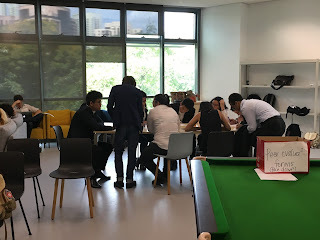 The Asia-Pacific Campus in Singapore also has its own student council, Swingap, that runs the events and clubs around the school. 3. What type of classes will I be taking? How is the timetable like? Courses will be held on week days, typically from 9:00 am to about 4:00 pm, and our classes are all taught in English. The first two years may be relatively more intense because the school is preparing us for our time in France as well as our exchange program in our 3rd and 4th years. 4. 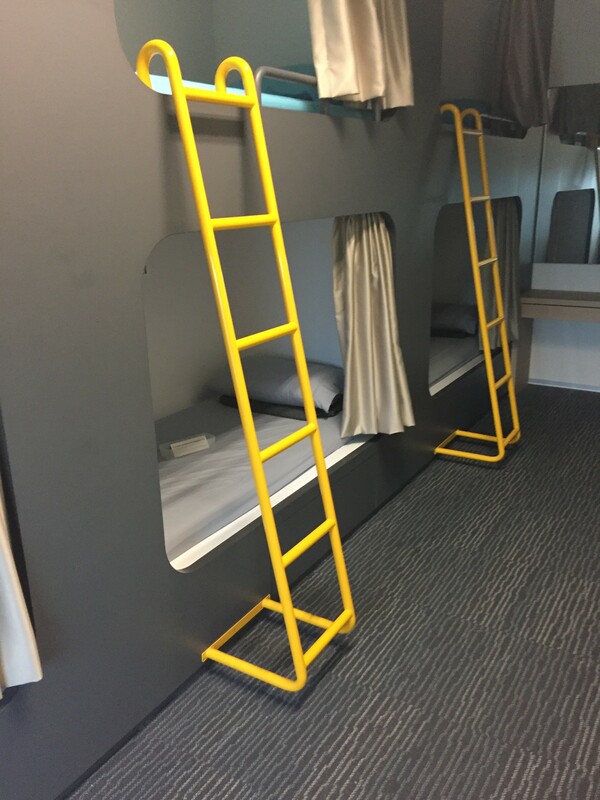 What are the possible accommodation options in Singapore? 5. Are my grades good enough to apply? ESSEC looks into the totality of each applicant’s profile carefully. In addition to excellent academic grades, leadership and entrepreneurial qualities, teachers’ recommendations, performance during the interview and portfolio also come into play during the evaluation process. 6. How was the Interview like? Once you have been selected for the interview round, the admissions team will arrange an interview with you on the campus or through a Skype call, depending on where you are currently located. As part of the interview, the school will ask questions with the aim of finding out more about your motivations and aspirations. This is to know if the school is the right fit for you as much as whether you are the right fit for the school. It would also be good to stay updated with the latest news and current affairs. Most importantly, be yourself! 7. What is the difference between starting in Singapore and in France? The first 2 years of the program focus on the core knowledge and skills to build our foundations in Business, thus the curriculum across the different campuses is consistent. The main difference would lie in the kind of examples and case studies used by the professors. For example, in Singapore, professors will focus more on case studies from Asia. 8. What are my scholarship options? To sustain the academic excellence of the Global BBA, ESSEC Business School offers scholarships to the most outstanding international candidates. Varied cultural perspectives and backgrounds enhance the education and experience of all our students as well as being a key factor in the excellence of our programs. With this in mind, ESSEC seeks to create further diversity in its already diverse student body. 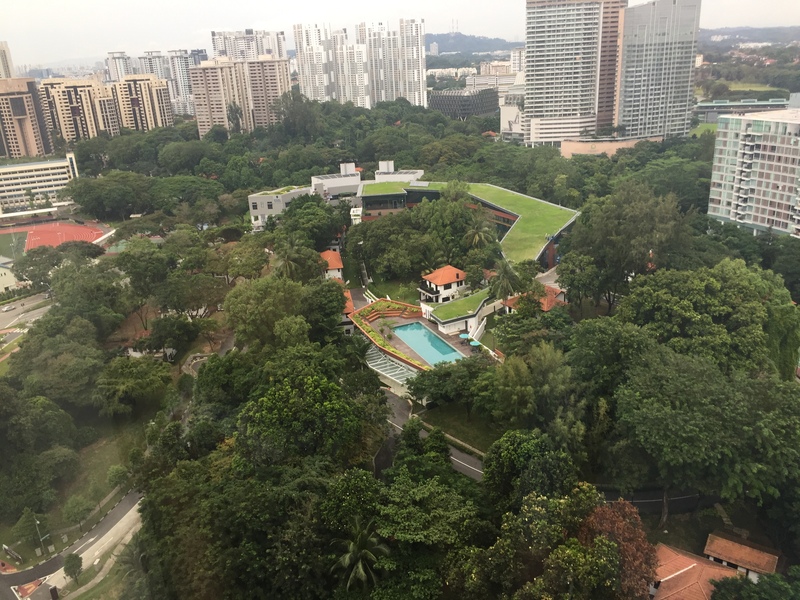 The ESSEC Asia-Pacific branch in Singapore opened in 2005 and in January 2015 moved to a brand new campus in the Nepal Hill district in order to be able to welcome more students and provide them with greater facilities. In this context, Global BBA students can now start their studies in Singapore and benefit from a full range of options available thereafter on all campuses. 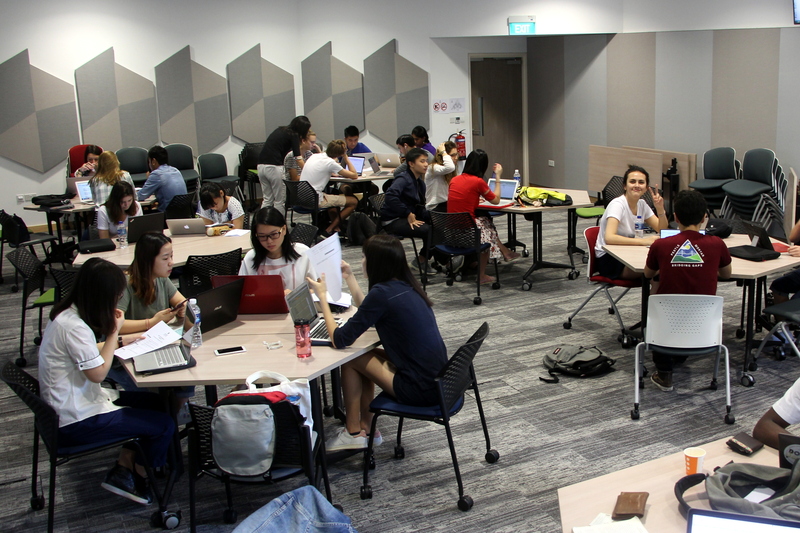 ESSEC aims to recruit the best Singaporean students to reinforce the school’s dual culture and also contribute to the local economy by bringing expertise to the region. Kindly note that scholarship decisions are made during the application procedure. Selected students will be notified upon being offered a place on the program. Please feel free to get in touch with us through ESSEC Talk if you have any other questions! On our first few days back from the holidays, we were introduced to the Kallystée Game. This game is a simulation of the Business World, specifically based on a cosmetic company. The group was split into teams of 4 and we competed against each other’s firms. We had to manage the firm’s financing, marketing, and growth. There were many deciding factors to this game. Over several rounds, we were able to compare our decisions with the actual decisions made by the company in reality. It was a great opportunity to review and apply our business skills and learn more about strategic planning. At the end of the sessions, we presented our thoughts on the game, including the mistakes, successes, and lessons learned. This game was very thought-provoking and allowed us to have a hands-on experience. Through the game, we were made aware of the importance of data and how it could influence the decisions of a company. 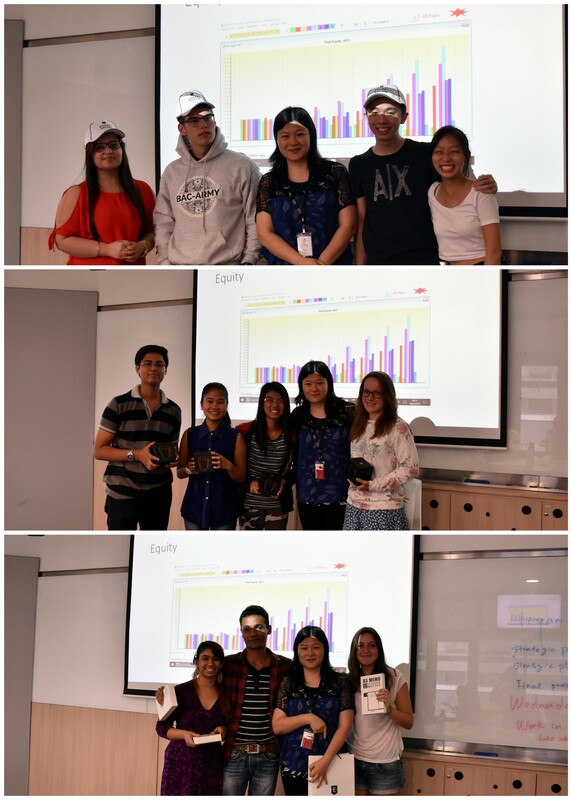 The top 3 winning teams that made the most profit over the 8 rounds of the game were awarded prizes. Though a lot of us were clueless when the game first started, we learned a lot by the end of the game. It was definitely a unique experience! 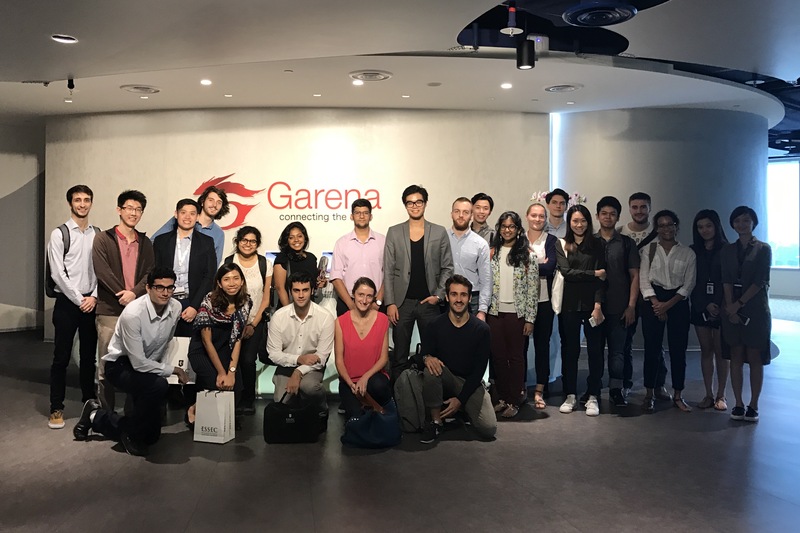 On Tuesday, 29 November, the Career Services Team at ESSEC Asia-Pacific organized a visit to Garena’s Headquarters located close by in one-north, Singapore. A group of students from various programs (Global BBA, MSc in Management, MS SMIB) gathered to take part in this experience. 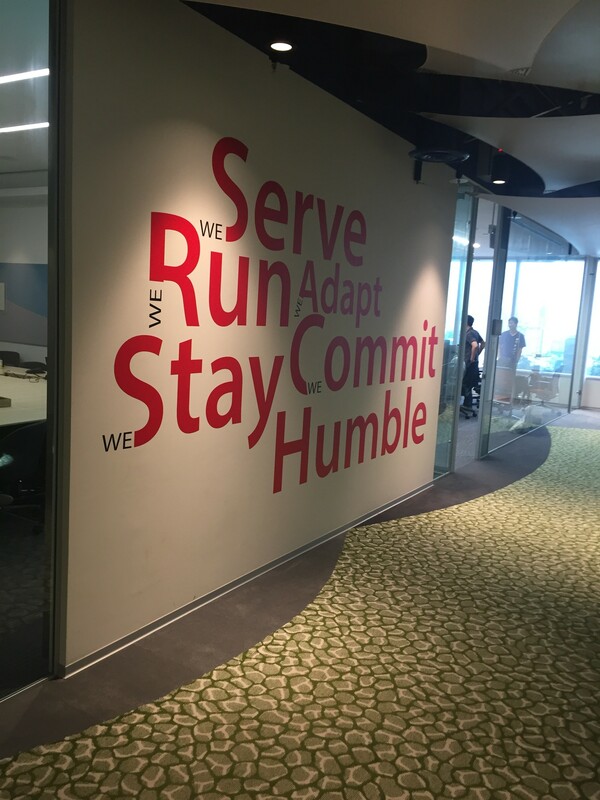 We were pleased to be able to learn more about the company, to get to talk to people in the Garena team, also known as Garenians, as well as to visit their offices. But what is Garena about? It mainly refers to Garena+, which is an online gaming platform based in Asia that distributes game titles such as League of Legends, FIFA Online 3 or more recently Thunder Strike. Though they offer various new services today such as e-commerce and online payments, Garena’s success in Asia-Pacific is likely due to a capacity to reinvent itself. During the visit, the company introduced their main service offerings, online platforms, philosophy as a firm and aims for the future. The students enjoyed a different perspective of the gaming market in Southeast Asia and had the opportunity to ask a few questions. It was really interesting to see that even though the company is worth over $2.5 billion today, they are still working on keeping the “start-up” mindset in the organization. The tour of the offices was quite impressive because of facilities such as sleeping pods, a very modern open-space and overall a calming and classy environment. Speaking with Garenians was also part of the experience. It was a great opportunity for the students to seek potential internship opportunities and to learn more about the type of jobs provided by such an organization. We had a really great time visiting the Garena office in Singapore. Thank you, Garena for hosting us and to the Career Services Team for organizing the visit! As part of the learning-by-doing approach at ESSEC, we prepared a poster presentation to demonstrate our soft skills in English. We were given a lot of freedom with our topic but had the guidance of choosing a current political, environmental, social or technological issue and the impact on a given population. It was without surprise then that the topics covered were indeed very diverse. 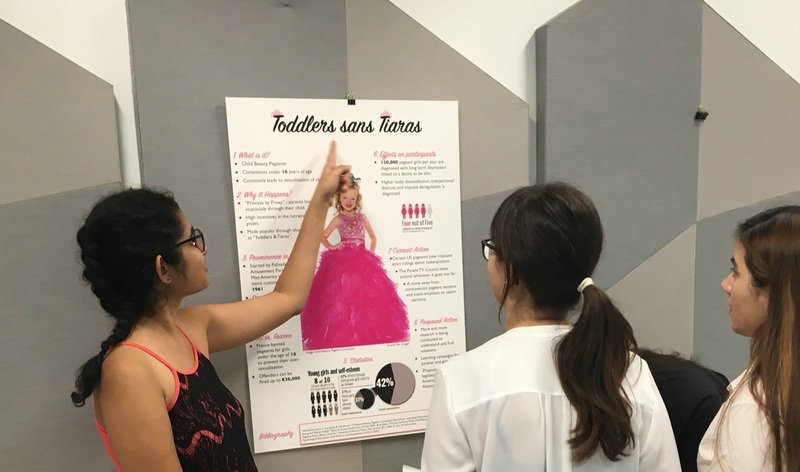 Personally, my group presented a poster on the subject of child beauty pageants. This task seemed straightforward at the beginning but the most rewarding part was realizing how much deeper these issues go than what we see and hear from in the media. By doing our research, we were astonished at some of the psychological effects of pageants on young girls. This is why I feel like the poster presentation was a great aspect of project-based learning as it tied together several skills worth practicing. Touring around some of the groups, I was astonished at some of the very unique issues and learned about a myriad of subjects, such as the whaling problem in Japan and student debt in America. The diversity of the presentations made this a really interesting and educational event! 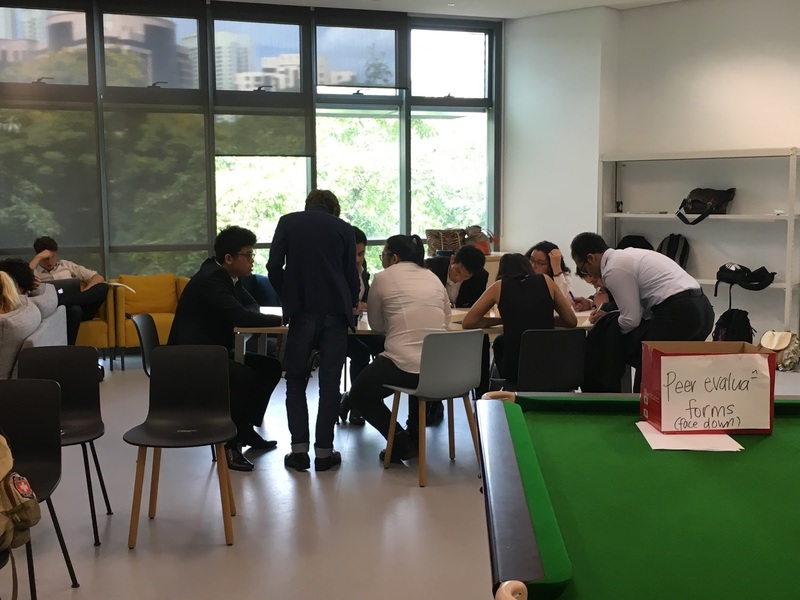 On December 7 and 8, the Career Services Team at ESSEC Asia-Pacific organized a Professional CV Photo Day for ESSEC students to get their professional CV photo taken. It was a free and convenient opportunity for students. Not only was there a professional photographer to help us get the perfect CV photo, hair and makeup services were also provided. After smiling at the camera to try to get the perfect angle, students also got to pick the one photo they liked out of several options. Considering that it is currently the exam period, it was nice for the school to offer such a service without students having to engage a photographer externally. In addition to having a well-crafted resume, taking a good CV photo is an integral part of the internship application process. This is something which the Career Services team always emphasizes when guiding us in our internship application process. Thank you to the Career Services Team for organizing this photoshoot! Welcome to our blog where you can follow the adventures of students' enrolled in the ESSEC Global BBA. Our Global BBA in Singapore, Morocco, Paris and Mauritius stands for fusing international and professional experience through innovative, top-of-the-bill education programs!